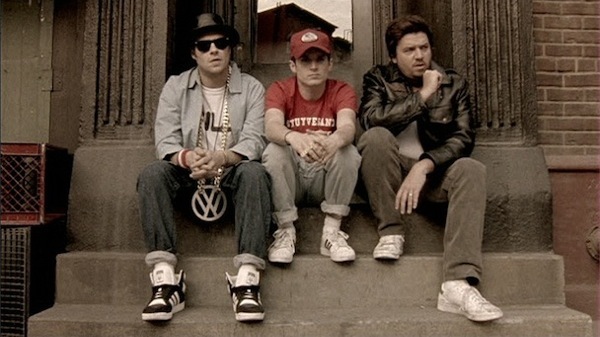 Boys, Beastie — Rock n’ Roll Hall-of-Famers the Beastie Boys, whose anticipated new album Hot Sauce Committee Pt. 2 drops next month, released a two minute trailer from a short film which premiered in January at the Sundance Film Festival. The short features, among others, Danny McBride, Seth Rogen, Elijah Wood, Will Ferrell, John C. Reilly, Jack Black, Stanley Tucci, Susan Sarandon, Will Arnett and Steve Buscemi — and, well, no joke here, but it’s just pretty damn great and worth sharing. Food, Famous — Vh1 reality programming is set to air its latest creation, which will take a handful of “celebrities” and give them the chance to open their own restaurants. Among the cast will be The Hills’ Heidi Montag and Real Housewives’ star Danielle Staub, whose restaurants undoubtedly will feature food which, like they themselves, has spent way too much time under a heat lamp, is full of preservatives, and looks terrible. Gaga, Lady — The “Born This Way” singer responded to criticisms that she’s cribbing her style and music from pop music forebearer Madonna by calling the accusations “retarded,” before excusing herself to attend the grand opening of her new chain of Mexico City healthclubs with her British filmmaker husband and have all of the protein surgically extracted from her upper arms. Lee, Spike — Director fight y’all! Addressing barbs tossed by Do the Right Thing helmer Spike Lee in 2009 that Oprah friend and Madea maven Tyler Perry’s movies enforce negative racial stereotypes, Perry wrote on his blog that he’s “sick of hearing about damn Spike Lee,” and that Lee can “go straight to hell.” Assuming Lee’s initial comments were based upon the fact that he’d actually seen Perry’s work, however, it’s obvious he’s already been there.